We have made it through one month of our yoga teacher training in India. I feel so close with all of my fellow students, we all release a lot this week and the energy feels much lighter now. I personally have shifted a lot since being here and am back in a space of feeling grateful and present for each moment in India. 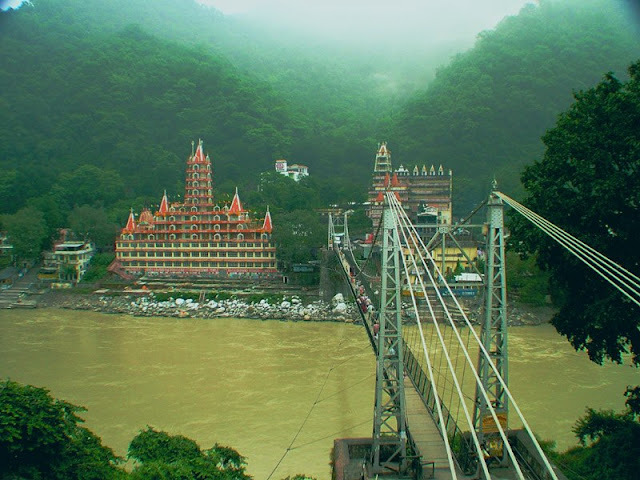 Rishikesh is a holy city and is fully vegetarian. I am a vegetarian and it is nice to know that there is not any meat being prepared anywhere here. It is like a different world, a world that is connected to nature. Living in oneness with nature keeps things real. Sometimes I look around and see the foothills of the Himalayan Mountains and see a monkey and think wow, here I am, in Rishikesh. It is so surreal! 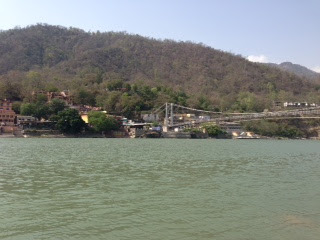 Things really heated up this week in Rishikesh. It is hot in May, the heat is helping to keep my muscles loose and aiding in detoxification that’s for sure! We continued our 5:30 am to 8:45 pm schedule this week and I really feel that I am getting into the groove of the day and it flows quite well. This week we began to teach each other in the afternoons. This really gives us the opportunity to learn from each other and receive feedback on how we can improve and become better. We are given the space to discover things on our own, but when the inner guru doesn’t suffice, Krishna or Roshan step in.